Head outside and look at the ground. Believe it or not, there is a wealth of craft materials at your feet. Let nature be your guide and round up a couple of pinecones for your autumn and winter crafts – you won’t believe how many creative projects you can make. Now is the perfect time to start making pinecone crafts – they’re seasonal, fragrant and easy to find. Since Christmas is just around the corner, now is the time to start making ornaments, table decorations and more. 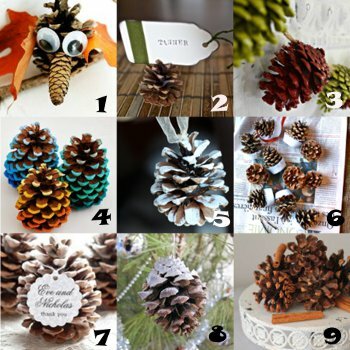 Our collection of the Top 7 Pinecone Christmas Crafts for Decorating will help you get in the holiday spirit. You’ll find ideas for table settings, wreaths, ornaments and more. A Beautiful Black Pinecone Wreath looks great during the holiday season but it can remain up all year long. Pinecones can also be an ideal canvas if you want to make a bold statement during the holiday season. Glittery Christmas Pinecone Ornaments require very few materials but truly stand out among the other more traditional ornaments on a tree. Kids and adults can work on these ornaments together, making this an ideal afternoon craft. If you aren’t as keen on crafting for the holiday season, make Yo Yo Stuffed Pinecones any time you want. 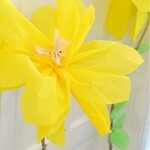 Use up those small pieces scrap fabric pieces to create the tiny yo yo’s needed for this quick and easy craft. 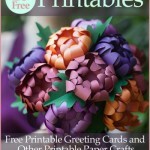 Now is the perfect time of year to turn pinecones into everything from ornaments to place card holders. Head outside before the snow begins to fall and start gathering some pinecones. The delightful smell and rustic look will turn a boring craft into an extraordinary creative experience. Happy to run across this blog post. The pinecone ideas are cute, economical, and will surely be enjoyed by my grandchildren on craft with Nana day this weekend. Thanks so much! I love this link up. Great to have so many ideas all together. This is what I have been wanting to do more of this Fall; foraging for Pinecones and leaves etc. 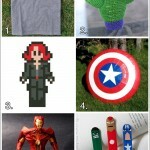 Love all of these ideas. Thanks for sponsoring my link. This is a delightful blog, I am looking forward to exploring more. How cute! Thanks for the ideas.